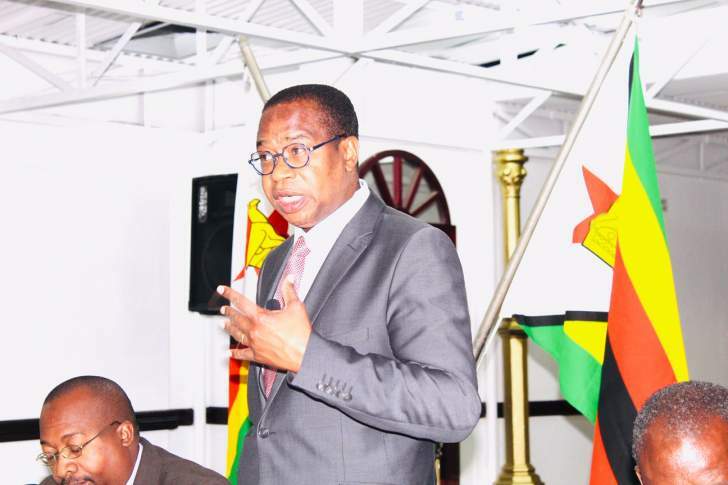 FINANCE and Economic Development Minister Professor Mthuli Ncube has refuted allegations that the Reserve Bank of Zimbabwe (RBZ) is at the centre of fuelling parallel market trading in the economy. Of late, there have been incessant accusations that the monetary authority was actively involved in the parallel market, sourcing hard cash required to sustain key economic requirements such as fuel, wheat, soya bean, and electricity, among other critical imports. Responding to questions during a ZBCtv current affairs programme, Zimbabwe Today, hosted on Thursdays by Tawanda Gudhlanga, Prof Ncube said the Central Bank was part of the solution to money laundering. "I don't know whether there is a 'mafia' or any bigwigs involved in the parallel market, but clearly there're people involved . . . But I can assure the nation that the organs of law are looking into that and are going to deal with that to make sure that illicit behaviour or money laundering in that way stops and individuals who are doing that should curtail those activities and desist from such illicit behaviour," he said. "I don't think the Reserve Bank is part of any illicit activity that is as far as I know. Certainly, the Reserve Bank is part of the solution and certainly if there're some allegations like that, obviously, they're going to be investigated in the usual way like any individual ought to be investigated in the usual way and the long arm of the law will certainly take its course." The name-dropping of RBZ as allegedly the lead element in the parallel market, has also been understood to be linked to crunchy or new notes within the black market. Prof Ncube said the Central Bank was no longer playing the lender of last resort function due to the challenges bedevilling the economy. "Monetary policy has shifted, we have really moved to unconventional monetary policy and desires that we establish a conventional monetary policy. "So, because of the challenges that the economy has been going through, there are certain cases where the Central Bank has become lender of first resort; the only place through which the country's credit lines can be sourced so it has to play that upfront role rather than backroom and become a lender of last resort but that will change through the reform agenda that I've enunciated through the TSP (Transitional Stabilisation Programme)," he said. "When we announced the monetary policy statement (2018 mid-term monetary policy statement) we said that we are going to introduce the five percent reserve requirement. That's actually a very old way to do monetary policy. What you do is use inflation targeting but because we don't have the full arsenal of tools for monetary policy, we have to use the reserve requirement approach which means mopping up liquidity from the financial system and sterilise it so that its not available for fueling inflation."